Evening at the UABB 2015 venue, the Dacheng Flour Factory, Shekou, Shenzhen. Image courtesy of 2015 UABB. 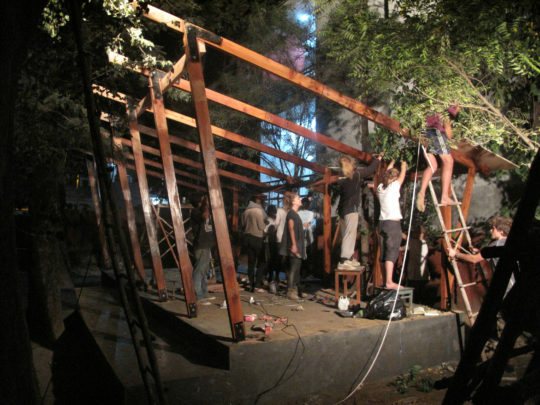 An exhibition pavilion, design-build structure workshop and discussion programme, created by a unique team from the UK, Norway and China for the national, regional and thematic pavilions section of the 2015 Bi-City Biennale of Urbanism\Architecture Shenzhen, 5 December 2015-28 February 2016. The Dacheng Flour Factory venue for UABB 2015 has been converted by Node architects, Shenzhen (Doreen Liu, one of the Chief Curators). Image courtesy of UABB 2015. Exhibitors including: WORKSHOP architecture, Assemble – announced on 7 December 2015 as winners of the UK’s Turner Prize 2015, Architecture 00 + Studio Weave and Carl Turner Architects. 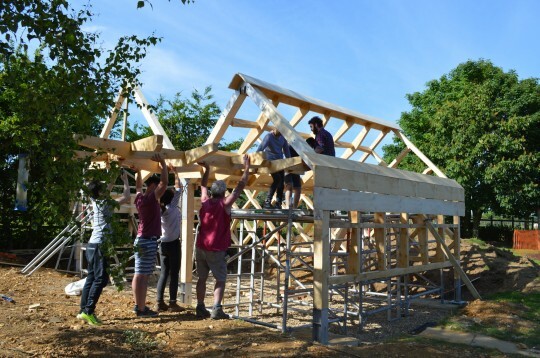 Volunteers helping to raise the roof of the music pavilion at S. John’s School in Lacey Green, Bucks (2015. WORKSHOP architecture. On 4 December 2015 the Remake – We Make exhibition pavilion opened at the 6th edition of the Bi-City Biennale of Urbanism\Architecture, Shenzhen, China (UABB 2015, open to the public until 28 February 2016), one of the thematic pavilions (in the thematic, national and regional sections) on show at the Biennale’s main venue this year, the former Dacheng flour factory on its site at Shekou in Shenzhen directly responds to this year’s Biennale exploring the theme of ‘Re-Living the City’ set by Chief Curators Aaron Betsky, Alfredo Brillembourg, Hubert Klumpner and Doreen Liu, and represented by over 80 exhibitors from around the world. The Remake – We Make pavilion is an engaging environment, demonstrating how community-engaged placemaking, embracing the handmade, the small scale and the improvisational, generates a positive regenerative impact on the social and political life of cities, towns and rural areas of the world and the capacities of their residents to rise to future challenges. Architecture is demonstrated to be a participative process, rather than one presenting an ‘a priori’, abstracting planning framework, which has been an all too common stock-in-trade in the planning and making of cities and towns globally in the past. Curated by award-winning author and creative director of Urbanista.org, Lucy Bullivant and staged in association with the UK-Norwegian practice, WORKSHOP architecture and film director Paul McHale, Remake – We Make is also a local collaboration with Assistant Professor Xin Guo, Department of Architecture, Shenzhen University and Assistant Professor Yan Gao, Department of Architecture, University of Hong Kong and a team composed of 15 architectural students, a mix of 5th year undergraduates and 2nd year postgraduates. 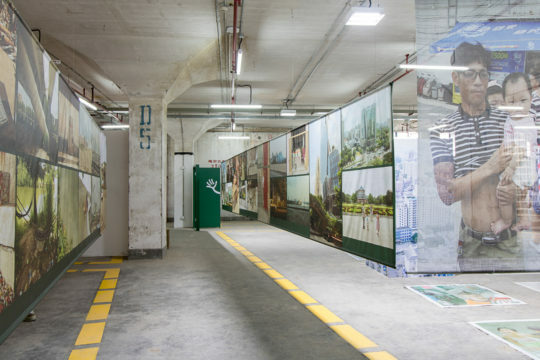 The presentation of Remake – We Make at the 2015 Biennale of Urbanism\Architecture in Shenzhen has been staged with the kind support of the Norwegian Ministry of Foreign Affairs, the Royal Norwegian Consulate General in Guangzhou, the Norwegian Centre for Design and Architecture (DOGA), Valentine Ellis and other private donors. Participatory activities are today reevaluating architecture’s social contract and organisational models, fostering fresh collaborative processes and deployments of local materials, crafts and skills. Our space at UABB operates as a heart of educational collaboration and open source design, overcoming the typical disconnection between the public and the processes by which spaces are made, and opening new possibilities for the building of social, ecological and health capital. Remake – We Make forges a fresh understanding of the potent creative potentials – at a time of great deracination and change – for finding alternative means of civic feasibility. Curator Lucy Bullivant PhD Hon FRIBA – founder and creative director of the cultural webzine platform Urbanista.org – has conceived of Remake – We make as a space for both learning and making, of elements that build during the Biennale from December 2015-February 2016. The aims of the Remake – We Make project and the developing collaborative process is the subject of an essay of hers on Urbanista.org, functioning as a hyper-local platform presenting the project as it grows, along with news of activities. The Re Make – Wemake pavilion is at all times during the Biennale’s opening hours a small hub screening a film compilation made by film director Paul McHale about the work of WORKSHOP architecture and of other innovative architectural practitioners working with local people in different contexts: the renowned UK, 18-person collective Assemble, announced on 7 December 2015 as winners of the UK’s Turner Prize 2015, 00 Architecture + Studio Weave and co-housing specialist Carl Turner Architects. 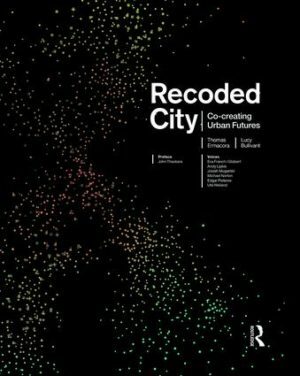 Recoded City: Co-creating urban futures by Thomas Ermacora and Lucy Bullivant, Routledge, 2015. From 14 January 2016, a new exhibit will be added to the Remake – We make pavilion: the new book Recoded City: Co-creating urban futures, by Lucy Bullivant and Thomas Ermacora (founder and creative director, Clear Village, Limewharf and the Machines Room, London), on participatory placemaking visions into action globally, including the work of Rural Urban Framework (Joshua Bolshover and John Lin) in China, WORKSHOP architecture in India and in the Philippines, and Urban-Think Tank (Alfredo Brillembourg and Hubert Klumpner) and 1to1 Agency of Engagement (Jhono Bennett) in Cape Town, South Africa, many documentary photographs by Iwan Baan, Giulio Napolitano, Grant Smith and others, the majority never seen before in print, and new information graphics of sound participatory processes by Design Surgery, using symbols as well as words, which make them easy for a wider audience beyond the specialists to understand. At Remake – We Make, we invite you to sit down, make yourselves at home, and have a look at our films and publications. Chinese film subtitles to be added shortly! 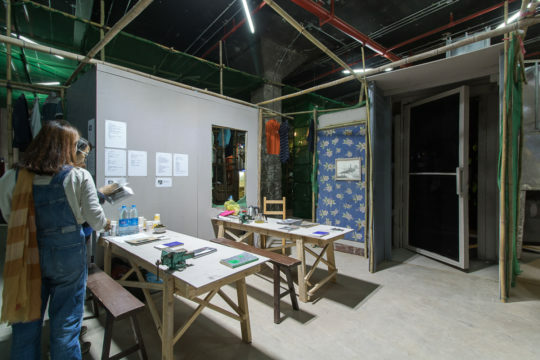 From 11-23 January 2016, in order to complement the Remake – We Make pavilion’s film and displayed books with on-site activity, WORKSHOP architecture (WSa) with Xin Guo and Yan Gao and their architectural students are staging a local participative design-build workshop process, building on their research during December 2015 in urban villages in Shenzhen and further afield at Guangzhou. Workshop participants and local craftsmen building an outdoor classroom for Chandar Nagar School, Dehradun, India (2012). WORKSHOP architecture. The team will make a multi-use structure in our space using local wood and other recycled materials it has sourced. This will serve as a discussion venue and a workshop for small craft items. The Remake – We Make workshop will culminate with a day of discussions and talks on Saturday 23 January 2016 (the day programme will be announced shortly). The workshop is part of UABB 2015’s Aformal Academy: Re:Learning the City programme of workshops, conferences and discussions running throughout the Biennale, led by Jason Hilgefort and Merve Bedir, which will be documented in a publication exploring Aformal Academy’s collaborative workshop-based learning processes in the context of the dense and booming region of Southeast Asia, and in particular, the Pearl River Delta. The Remake – We Make team’s participatory processes are hyper-local and use WeChat (in Chinese, Wēixìn, meaning ‘micro message’), the multifunctional digital platform/messaging app developed by Tencent in China, first released in 2011. Updates about our project and details of the day of discussion events to be held on Saturday 23 Jan 2016 at the Remake – We Make exhibition space in the New Year before the close of the Biennale on 28 February 2016 will be posted on the exhibition’s blue wall, and on Urbanista.org, which will publish an essay reflecting on the advantages and challenges of architectural design collaborations with building users at specific sites around the world. Remake – We Make is part of Dwell in Possibility, a new international series of exhibitions curated by Bullivant including Urbanistas: women innovators in architecture, urban design and planning, commissioned by Roca London Gallery, which has toured to the Core, Newcastle, in association with Northern Architecture, Igloo Regeneration and Creative Space Management. The Dwell in Possibility exhibition series (named after the poem by the 19th century American poet Emily Dickinson) is accompanied by discussion events and workshops, and its aim is to seek out and showcase people and projects reinventing traditional notions of urban design and planning, in order to nurture agile, holistic and participatory design strategies which are situational, and customised ways of seeing, being and acting. 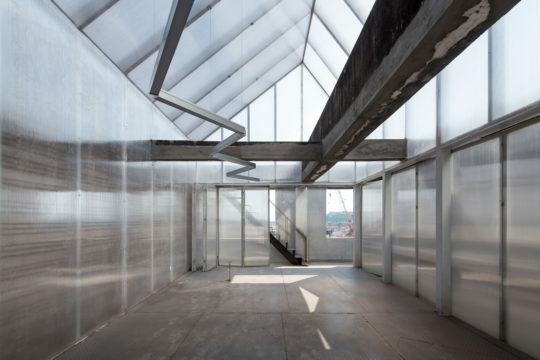 The main UABB venue at the former Dacheng Flour Factory, Shekou, which was a deteriorating factory complex built in the 1980s, has been transformed into a multifaceted exhibition venue under the direction of the UABB 2015 Chief Curatorial team and the Shenzhen-based architectural practice Node. Full details of the ‘Re-Living the City’ UABB 2015 are available from UABB’s PR agency Sutton Asia. Lucy Bullivant PhD Hon FRIBA is a curator, award-winning author, the founder and creative director of the cultural webzine platform Urbanista.org, professor of urban design history and theory and a Built Environment Expert, Design Council Cabe, London. Her book, Masterplanning Futures, 2012, Routledge, won the Urban Design Group Book of the Year Award, 2014, and on 10 December 2015, Recoded City: Co-creating urban futures, on participatory placemaking visions into action globally, co-authored by Thomas Ermacora and Lucy Bullivant, was published by Routledge. Lucy has curated several groundbreaking exhibitions including ‘The near and the far, fixed and in flux’, XIX Milan Triennale (1996), ‘Kid size: the material world of childhood’, with Jutta Oldiges, Vitra Design Museum and global tour (1997-2005), ‘Space Invaders’, with Pedro Gadanho, British Council, London and global tour (2001-3) and ‘Urbanistas: women innovators in architecture, urban and landscape design’, Roca London Gallery (2015). She was Heinz Curator of Architectural Programmes, Royal Academy of Arts, 1993-4. WORKSHOP architecture (WSa) is a British-Norwegian collective of architects and designers founded in 2012 by Clementine Blakemore, Alexander Furunes and Ivar Tutturen. With their strong commitment to collaboration with local community members and craftspeople, learning by doing and using the design and construction process as a tool for positive social change, WSa cultivates a deep understanding of place. It has realised buildings, including schools and other learning centres including residential accommodation, in contexts such as Tacloban and Tagpuro, the Philippines, with NGO Streetlight, Chander Nagar, India, with Nanhi Dunya, an Indian charity, and in the UK, that are modest, practical and meaningful. They form a team of collaborators and partners for each project, and produce associated books and exhibitions in order to open the conversation to a wider audience. In 2015 Blakemore won the SustainRCA Award for Visionary Processes. 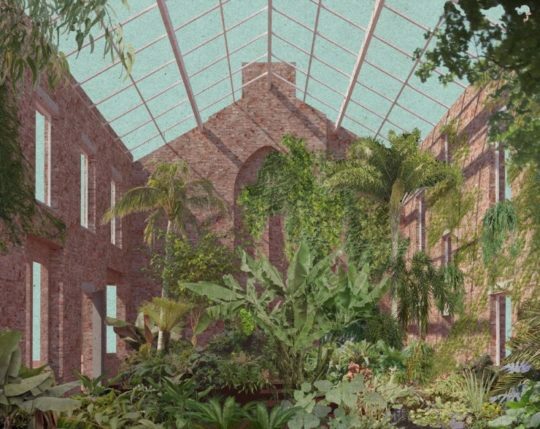 Greenhouse visualisation, Granby Four Streets, Liverpool, Assemble. Assemble, a collective of 18 architectural designers and artists based in London who began collaborating in 2010, were announced as the winners of the UK’s Turner Prize on 7 December 2015. Assemble champion a working practice that is interdependent and collaborative, seeking to actively involve the public as both participant and collaborator in the on-going realization of the work. The team has worked with residents and with the local community land trust to reimagine the Granby Four Streets area of Toxteth, Liverpool, as well as two primary schools in Bristol and an adventure playground in Dalmarnock, east Glasgow. The Cineroleum is a cinema in a converted petrol station in Clerkenwell, London. 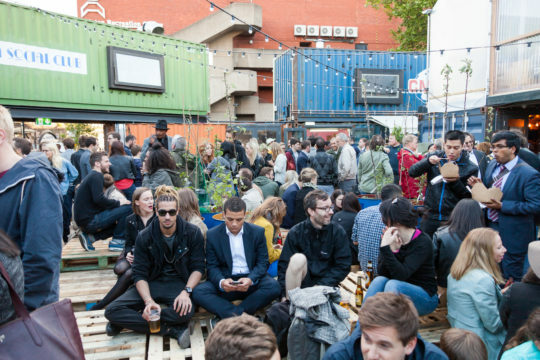 The launch of Pop Brixton, south London, Carl Turner Architects. Kit Oates Photography. Carl Turner Architects – specialists in co-housing and open source design processes – completed Pop Brixton in May 2015, A new community campus in south London for startups, small businesses and community organizations, this new ‘mini-city’ deploys low-cost, low-energy shipping containers to combine enterprise and culture, a new outdoor space, and Pop Farm, where local people can share their knowledge and skills, creating jobs and business opportunities. The Foundry, Vauxhall, south London, Architecture 00. Architecture 00, co-founded in 2005 by Indy Johar, is a London-based architectural practice combining action-led research, urban design strategy, architecture and placemaking through innovative, engaging and collaborative processes. This focus led in 2015 to 00 forging a complementary working partnership with architectural practice Studio Weave (2006-, founded by Je Ahn and Maria Smith) Their Civic Systems Lab, Do Laboratories and WikiHouse initiatives focus on the design of neighbourhoods, public spaces, creative workplaces, health and education environments, user-led housing, local economic development and social investment. 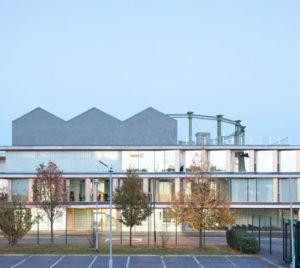 00’s completed projects include the Social Justice Centre, Vauxhall, London, a flexible work and events space, and community learning resource, winner of the RIBA London Building of the Year Award 2015 and RIBA London regional award 2015. WikiHouse, 00’s open-source construction system for the social economy, engages with self-made solutions and shared skills, and represents a new direction for design and build with potential impacts on many forms of social organisation, including co-development of neighbourhoods. Paul McHale is a film director, editor and camera operator based in the city of Birmingham, UK. His wide-ranging work includes documentaries, animations and short films for businesses and cultural organisations including Arts Council England, Birmingham Museums, Roca London Gallery, Glastonbury Festival, Maverick Television, Fused magazine and the Soul Food Project. In 2015 he directed six short documentary films for Urbanistas: women innovators in architecture, urban and landscape design, a touring exhibition curated by Lucy Bullivant for Roca London Gallery. Xin Guo is an architect and partner of dotA, and Assistant Professor, University of Shenzhen. She applies pioneering design theories to architectural design practice as well as to the process of construction, to advance the utilisation of new technologies and new materials in the realm of architecture, urban, landscape design and beyond. She teaches Architectural Design Studio and Parametric Design Studio, University of Shenzhen, focusing on integrating parametric methodologies and advanced modelling techniques into practice. Guo holds an MArch degree, Design Research Lab, Architectural Association, London (DRL), and a BArch, South China University of Technology. She was the chief exhibition designer of the Chinese Pavilion, ‘Synergy & Symbiosis’, at the 2014 Venice Biennale, organised with UABB. Her Intelligent Wave Robotic structure was exhibited in ‘Robotic Future’, the 2015 Shanghai Biennale. She worked at Atkins’ Hong Kong office for some years before joining dotA as a partner, and is currently leading museum, gallery, renovation, landscape and interiors projects. Yan Gao is an architect and partner, dotA, and Assistant Professor of Architecture, The University of Hong Kong (HKU). He teaches MArch students creative computational design and BIM design, and is programme director of Digital Practice: Hong Kong and supervisor of MArch thesis students. He has also been programme director of the AA Beijing Visiting School (2010-2012) hosted at Tsinghua University, and visiting professor at University of Saint Joseph Macau, and has taught at the Design Research Lab (DRL), Architectural Association, London (2008-2009), AA Shanghai Visiting School (2007-2009) and at a number of parametric workshops in China. In 2006 he co-founded NoDE (Network of Design Emergence) to advance architectural theories and techniques towards cuttingedge digital means. In 2010 Gao became the Consulting Creative Director of dotA Architectural Design Ltd Beijing, where he has led projects and competitions for interiors and urban design. He also collaborates actively as a leading member of Ocean CN. Before joining HKU, he worked at Marks Barfield Architects, London, where he co-founded REALM (Research in Emergent ALgorithmic Modelling) group, and delivered many high profile projects including the award-winning project, Kew Tree Top Walkway and Rhizotron (completed 2008). In 2009 he joined Crystal CG London as Architectural Director leading its Department of Research & Development. His works and writings have been published in the UK and China, including issues of World Architecture magazine in China, ‘Articulating Complexity’ and ‘Parametric Design’ for Tsinghua University, Beijing. His research focuses on creative design applications for contemporary architecture and new urbanism through computation. This approach makes computational/parametric design an immersive part of a variety of projects including vernacular architecture, interior, landscape, urban and infrastructure. It also exposes architectural design to the social, economic, environmental, political, professional and technical dimensions of interdisciplinary networks. His pragmatic research projects bridge theory, techniques, Chinese philosophy and practice, aligning architectural value and performance with urban architecture in the changing context of China. Shenzhen Entropy, Rob Voerman, UABB 2015. Image courtesy of UABB. The Bi-City Biennale of Urbanism\Architecture (UABB)is currently the only biennial exhibition in the world dedicated to the themes of urbanism, urbanization and architecture. Co-organized by the two neighbouring and closely interacting cities of Shenzhen and Hong Kong, UABB situates itself within the regional context of the rapidly urbanizing Pearl River Delta, and concerns itself with global urban issues. n = distortion, Handshake 302, UABB 2015. Image courtesy of UABB. UABB extensively communicates and interacts with the wider public, is presented through expressions of contemporary visual culture, and engages international, avant-garde dimensions as well as discourses of public interest. 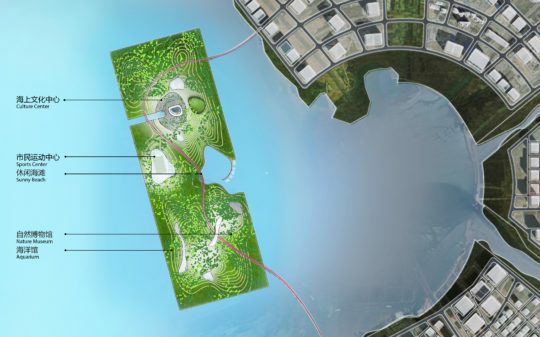 PRD 2.0 – The Future Forest City on the Sea, MAD Architects, UABB 2015. Image courtesy of UABB. UABB is a forward-thinking biennale that focuses on conceptual issues on urbanism and architecture. With around 770 exhibits and 310 activities since the biennale launched in 2005, UABB has attracted over 860,000 visitors worldwide. PRD 2.0 Wealth Architecture, Yuan Feng, Sun Yat-sen University. 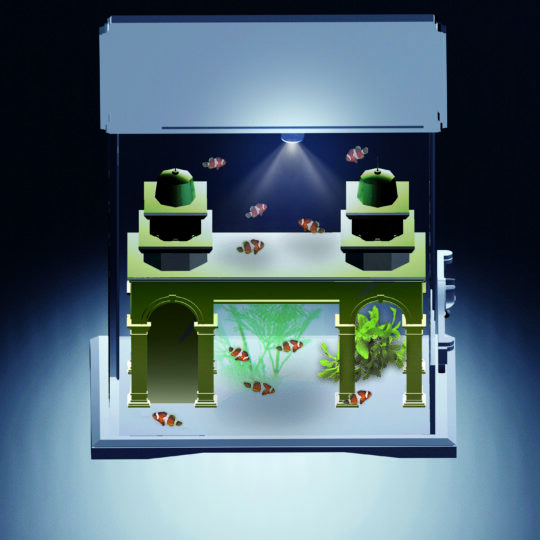 Image courtesy of Yuan Feng. The past five editions of UABB(SZ) have investigated a range of themes including ‘Urban Village & Spontaneous City’, ‘City of Expiration and Regeneration’, ‘Public Space’, ‘Urban-rural Relationship and Agriculture’, and ‘Border/Edge’. The UABB’s research, ideas and discussions have made a significant impact on the global discourse on architecture and urbanism as well as on Shenzhen, a ‘vanguard’ city. UABB will further strengthen its role as a knowledge platform, setting up the UABB School. During the 2015-16 UABB exhibition period, the UABB School will publicly recruit programmes and present a series of courses and events for the public curated by guest specialists. Information source: SUTTON Hong Kong, UABB 2015’s PR consultants. 5 December 2015-28 February 2016, 10.00am-10.00pm. The exhibition will be closed on Mondays from 14 December 2015. Metro: Longgang Line Jixiang Station Exit C, about 960 metres ahead.